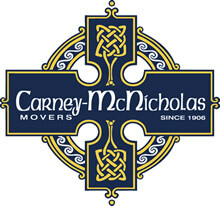 Carney McNicholas, Inc. is a leader among international moving companies. Our staff has years of experience providing international relocation solutions for individuals, global organizations and international fowarders with standards of performance that ensure the same great service, anywhere in the world. Our family of professional movers knows how to move your families’ possessions professionally and on-time. We can settle you into you new country and home with a variety of international moving services. For more important information about international moving, please contact us directly at 800-599-6459.